In this article I'll demonstrate 3 ways of creating a local Debian mirror using the apt-mirror, debmirror and the ftpsync tools. I'll be mirroring Debian Wheezy, which will download about 79GB of packages. If your environment consists of many server builds each day, having a local Debian mirror will save you time and bandwidth. I'll be using a Debian Wheezy server for this purpose. You can put whatever mirror is closer to you and add or remove different repository sections. In this example I am interested in mirroring the main, contrib and the non-free sections. 79.7 GiB will be downloaded into archive. Need to get 175 kB of archives. After this operation, 609 kB of additional disk space will be used. Selecting previously unselected package iptraf. The recommended way of mirroring Debian repository is by using the ftpsync mirroring tool . EXCLUDE="--exclude=jessie* --exclude=oldstable* --exclude=sid* --exclude=testing* --exclude=unstable* --exclude=experimental* --exclude=Debian* --exclude=stable*"
ARCH_EXCLUDE="alpha arm armel armhf hppa hurd-i386 ia64 kfreebsd-amd64 kfreebsd-i386 m68k mipsel mips powerpc s390 s390x sh sparc source"
Notice how the config file has the OPENVZ name in it and how we specify which config to run by passing the sync:archive:OPENVZ parameters to the ftpsync script. 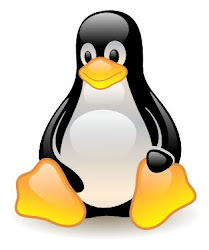 Some Linux technologies evolve so fast that their configurations go out of date quickly. Any chance for dating your articles? Then it would be easy to find the publication date without doing any detective work (reading comments or install messages). You can see the date I wrote the article in the URL e.g. http://kaivanov.blogspot.com/2013/11/creating-official-debian-mirror-with.html. As of that date you should be able to copy-paste my examples and they should work. I like the date in the URL. However, "modern" devices like phones and tablets don't like to show you the URL. I really hate that. Seriously. If there was a vote, I would be in favor of having a time stamp as part of the template. I found the content above very useful. Unfortunately, that's relevant to the date of publication as the first poster pointed out. Regardless, thank you Konstantin for sharing. Any insights as to why ftpsync is preferred to debmirror? Perhaps security? Point taken. I'll insert dates to the posts. As for why ftpsync is the recommended way by Debian is because it uses the two stage rsync process as per http://www.debian.org/mirror/ftpmirror where debmirror does not. Thanks for the Super Guide. Thank you in advance in advance. Since ftpsync uses rsync to transfer data, it should be ok to run in crontab every few hours, because after the first run it will only copy the deltas. Und beste grüße aus Deutschland. I expect that "--exclude=jessie*" will avoid the meta-data about the jessie suite, but will still download all the packages used by it, even if they aren't used by wheezy, the targeted suite. Isn't it true that though you plan to "be mirroring Debian Wheezy", you're actually mirroring the entire repository of debs (for particular architectures)? shows an empty file for me, so only one file was required to be updated.